In recent months in China there have been frequent cases of the owners of private financing companies disappearing, leaving investors’ principal unpaid. 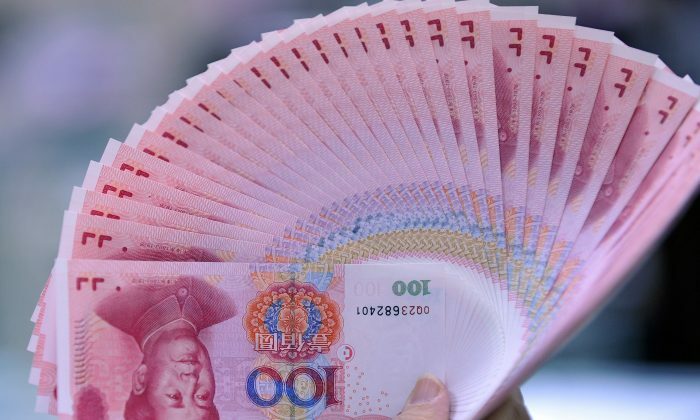 The wide spread of this phenomenon in southern and western China shows that non-governmental lending is collapsing, according to the Chinese press. In late October, the police bureau of Xi’an, the capital of northwestern China’s Shaanxi Province, received over 100 reports from investors of the Shaanxi Shihe Investment Ltd. that they had not been paid interest they were owed and could not get back the principal they had invested either. Zhang Chao, the owner of the investment company, disappeared last month. Not only did the headquarters of the company in Shaanxi shut down, but its branch companies throughout the country in Shenzhen, Lanzhou, Qinghai, Jinan, Chengdu, and Xianyang have also closed, according to China Business, one of the most widely read financial newspapers in China. The amount of investment lost by individual investors in Shihe Investment ranges from thousands to a million dollars, China Business says. The police are still counting the number of victims and the total amount involved. Some investors claimed to have obtained accounting records from a source inside the company, which show that 1300 some investors with over 260 million yuan ($42.5 million) are involved, the report says. The owner Zhang Chao is currently wanted by the police. Zhang’s last appearance was in September, when he promised the investors that the principal and interests will be secured. He said the company is aiming to be listed in 2015. On Nov. 5 hundreds of victims protested in front of the Shaanxi Province government, demanding the arrest of Zhang and the return of their money. Mrs. Zhao, one of the protesting victims, told Epoch Times in a phone interview that one of the investors has committed suicide under financial pressure, and another investor died from a heart attack, after learning the owner had disappeared. The Shaanxi Shihe Investment Company has a billion yuan (US$163 million) in assets invested in over 40 industries, such as: supermarket, real estate, fast delivery, and so on. Before the events in Shaanxi, a number of investment companies’ owners in southwestern China’s Sichuan Province have disappeared as well, leaving investors’ principal unpaid since July, China Business says. Owners of four investment companies have gone missing in the past few months, and one owner committed suicide, which was allegedly related to the company’s high levels of debt. Many other companies in the investment industry in Sichuan also have severe financial problems. “Nearly 100 financial management companies have encountered troubles, and the number is still increasing,” Yang Xiaobing, general manager of a microfinance company at the Chengdu Hi-tech Zone in Sichuan, told China Business. Many financial companies in Sichuan have stopped offering any new investment projects, the report says. Nearly 4000 new finance companies were established in the second half of the year in 2013 in Sichuan Province. Many of the companies offered high interest rates to attract investors, and the majority of the investment went to the real estate industry. Real estate then slowed down sharply last year, causing severe financial problems, the report says. Yang said that an estimated 80 percent of private lending capital has been invested in real estate. Following the slow down in the real estate industry, the finance companies have a hard time paying back the promised high interest rates. With reporting by Wan Fang.